Home » Private Middle School in Loreto! Private Middle School in Loreto! Soon, Loreto will have its first private middle school! 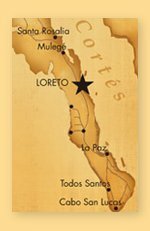 The Tecnológico de Baja California (TBC) has chose Loreto for its new installation. If we manage to get 40 students for the year 2010-2011, construction of the school will start immediately. Please help making this happen by enrolling your 12 to 14 year old kids in this school. 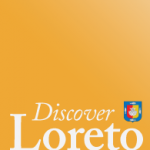 This school offers the best preparation for university available in Loreto. School days will be 7 hours, 5 days a week and include English, Computer Science, Ethics and Sports. Registration cost per pupil are $1,000 Pesos. Registration will be completed this June. The school years consists of 12 monthly fees of $2,100 Pesos. Please register your child at our office on the corner of Jordan and Bravo, one block from the Malecon, half a block from Madero. and 4:00 PM to 7:00 PM. Tomorrow Friday the 4th of June and Saturday the 5th of June.